The ASAPbio Scientific Society Preprint Town Hall was held on Thursday, February 23, 2017 at the National Academy of Sciences Building in Washington DC (2101 Constitution Avenue, N.W., Washington, DC). Scientific societies have long served researchers by providing them with opportunities to share unpublished data through poster and oral presentations at meetings. Today’s technology enables this sharing to flourish in the digital space as well as the physical. 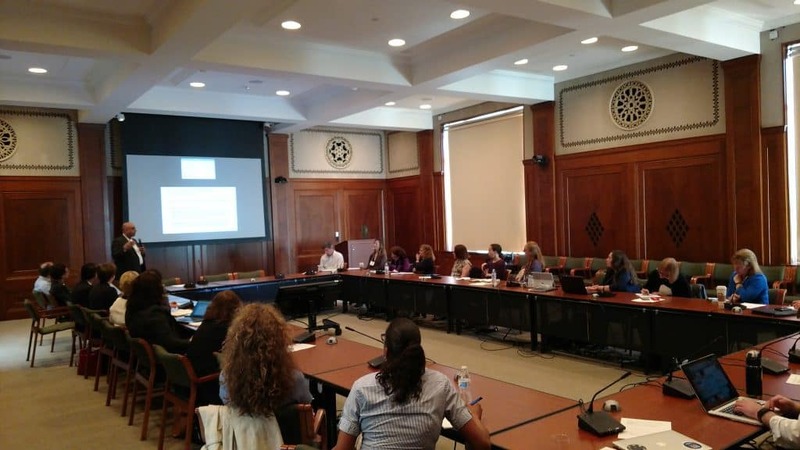 The meeting featured scientist, funder, and society perspectives on preprints in the life sciences and details about the development of a next-generation preprint ecosystem. We also hoped to catalyze a discussion on how preprints can benefit scientific societies in the future. Attendance does not constitute endorsement of any kind.